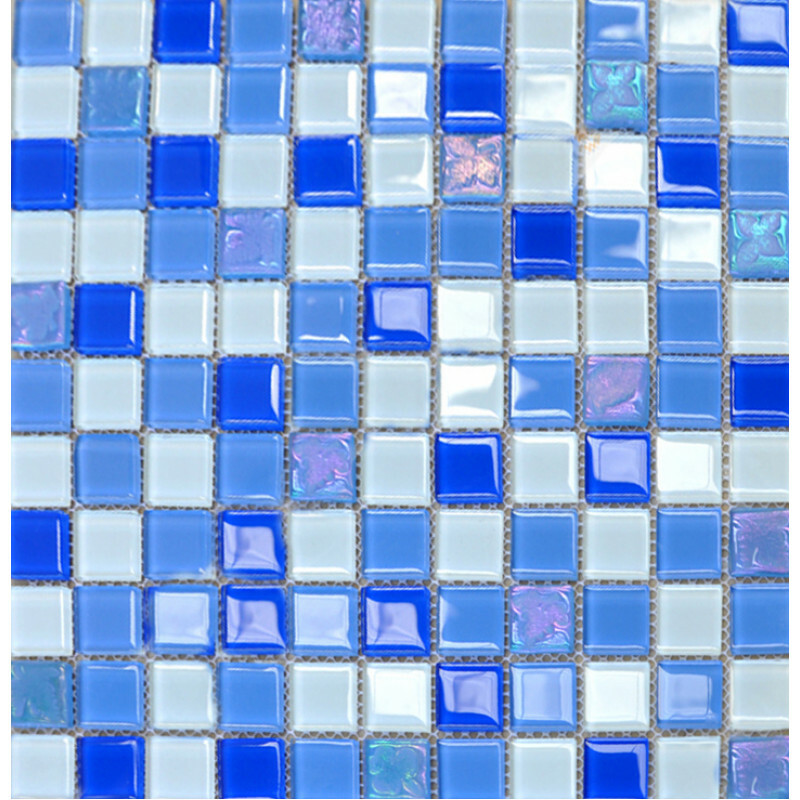 These blue glass mosiacs with glossy finish are the most widespread hide mosaic tiles in common use and are used in great numbers by builders and tilers for common tasks such as shower bases and swimming pool edging, but these useful mini mosaic tiles can readily be adapted for artistic craft work. They are usually supplied on a backing sheet of light fabric mesh, from which they are easily detached with warm water. They are easy for installation and cleaning. 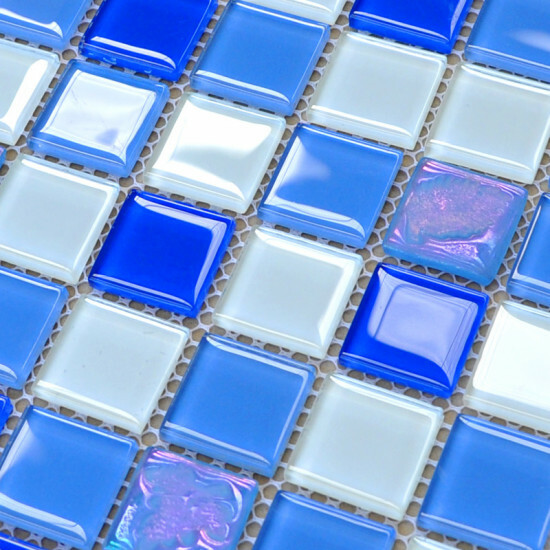 If you are looking for something to add a personal touch to your kitchen or bathroom or any other space in your house, the glossy glass pool tile and backsplash wall tiles will help you achieve what you want!